yamakan | It can't be helped. It appears I was right. The third episodes of the respective winter noitaminA anime have been strong, with one of the said shows kicking into high gear. I’m sure you already know which show I am talking about, so let’s not get ahead of ourselves here. All I’m going to say at this point is that it surely made the biggest splash this week, in terms of content and graphical presentation. Now, enough about that. Recently, I just caught a trailer of the newest noitaminA show set for spring, and I thought I would talk about it a little first. After two years, Kenji Nakamura is back with a new original anime project since Trapeze. Big news for Nakamura fans, the fans of his Toei shows (Mononoke, Trapeze), and just noitaminA fans in general. His shows have always been a pleasure to watch; his off-the-wall directing combined with well-placed CGI backgrounds provided a real spectacle, almost approaching the psychedelic. 2007’s Mononoke showed his technique at its best, expertly dividing limited quality of animation with occasional bursts of pure energy in animated form. On the other hand, 2009’s Trapeze was more experimental, fusing together live-action frames and actors with textured colorful backgrounds. Frankly Nakamura’s effort on that show was hit-or-miss, but I respect what he tried to accomplish stylistically. If anything, that show was a needed and highly refreshing change of pace. The show itself showed flashes of brilliance when it did hit the right notes. Anyway, judging from the trailer for his new anime C (I still don’t know why they chose that terrible title), it looks like a departure from his past efforts. There doesn’t seem to be the layered backdrops with the trademark artsy texture common to his past shows, but it appears to have a more fluid and grounded look, with just enough Nakamura inflection. It looks to be more streamlined than his past shows. The show itself was said to have a lot of focus on action, which is itself another difference. I’m looking forward to how Kenji Nakamura juggles this seemingly new smooth approach, with his trademark loud and flashy presentation. His effective and informed approach to storytelling and directing plus this show’s socially sensitive topic should be a very interesting combination. Early on, I am hopeful for this show–it probably won’t be able to stop noitaminA’s recent ratings slump that’s been going on for some years now–but as a Nakamura fan, I’m happy (curiously enough, Mononoke was one of the highest-rated and best-selling noitaminA anime in the slot’s run). 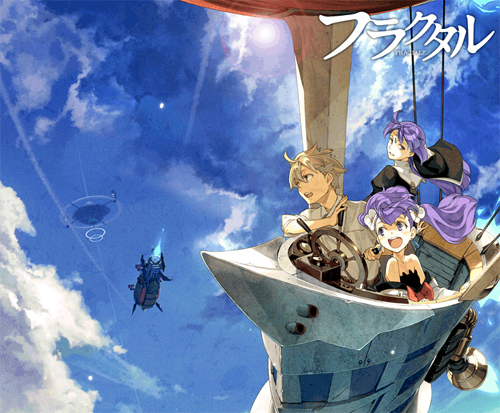 The show drops on Fuji TV’s noitaminA slot this April.